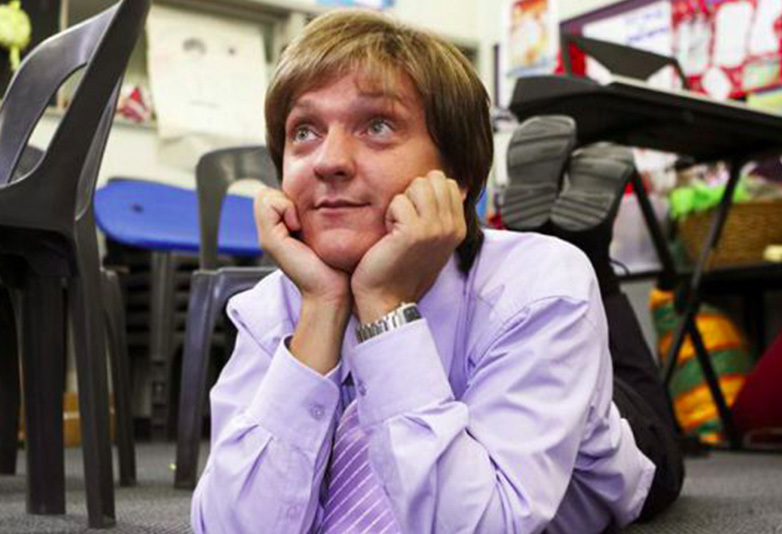 We all know where we were when we first saw Summer Heights High, a comedy show like no other. First aired in 2007 the show became an instant cult classic as the world discovered Chris Lilley’s characters of fabulous teacher Mr G, troubled schoolboy Jonah Takalua and, my personal favourite, privileged schoolgirl Ja’mie King. Ja’mie appeared in Lilley’s original show We Can Be Heroes and soon enough her co-stars Nathan and Daniel Sims were in spin-off Angry Boys, she got her own show in Ja’mie: Private School Girl and we learnt more about Summer Heights bad boy in Jonah From Tonga. Not only did Lilley create these mockumentaries, but he also wrote them and portrayed the majority of the key characters. Teenage girls and boys, thirtysomething drama teachers, middle-aged rolly-polly world record attempters, Lilley played them all. It’s no wonder then thousands of people across the world got very excited when news broke that Lilley will be making a new show with Netflix. Details about Lilley’s new programme are scant with no title or synopsis currently available but we do know 10 episodes are due to be filmed from March to June on Australia’s Gold Coast. The Queensland Government confirmed the news in a statement on their website stating that the show will ‘generate a $6.35 million boost for the local economy’. More recently big screen productions including Thor: Ragnarok and Aquaman filmed in the state. With filming due to finish in June, hopefully it won’t be long until we see the show on Netflix. The award-winning comedian has faced controversy in the past especially for the perceived use of racist stereotypes and ‘blackface’ in his series, playing black rapper S.mouse, as well as Jonah of Tongan descent and Jen Okazaki a pushy Japanese mother. In July last year Lilley was hit with further criticism when he posted a remix on his Instagram account of a music clip entitled Squashed N*****. The video showed an indigenous boy lying on the ground with his arms splayed after being run over, only weeks after the death of an Aboriginal boy was reported in the news. Lilley apologised for posting the video and later deleted his social media accounts. And though Lilley has not commented on the issue in his latest series, Netflix representatives have confirmed to Pedestrian race will not be characterised as part of the show’s humour. We can confirm that there are no plans for Chris to play characters of different races for this project. The project is in early stages and we will have more details to share soon. Maybe that’s why it’s said to be his best show yet.